Summit Road Wineries play cupid with “A Wine Lovers Weekend” to get residents and visitors in the spirit of Valentine’s Day. Held on February 9 and 10, each winery offers a delicious surprise including wine and chocolate. Guests are bound to fall in love with the beautiful mountain vineyard, lush green forest and gardens. At Burrell School, guests will be serenaded by live guitar music while noshing on special “Love Bites” that are the perfect pairing with red wine. Guests can enjoy a sip of the vineyard’s late harvest Zinfandel. 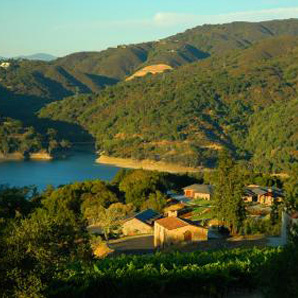 At MJA Vineyards, guests can cuddle up by a warm fire while indulging in wine and chocolate. Live music and roses will also be provided. At Regale, indulge in rich chocolate and swoon-worthy treats. For guests still looking for the perfect Valentine’s gift, Regale has some great in-store gift opportunities. At Silver Mountain, enjoy decadent bites from homegrown artisan and food vendors while sipping organically grown wine from the vineyard. Live music, sweets and treats will be provided. Silver Mountain will only be open on Saturday, February 9. At Villa del Monte, enjoy Valentine’s Day decorations while sipping wine and eating chocolate. The vineyard will donate $1 to a local nonprofit organization called “Grind Out Hunger,” which raises awareness about local hunger issues, for the purchase of a bottle of wine. The two-day event is held from noon to 5pm. Each winery’s tasting room fee and policy applies, ranging from $5 to $10 each.